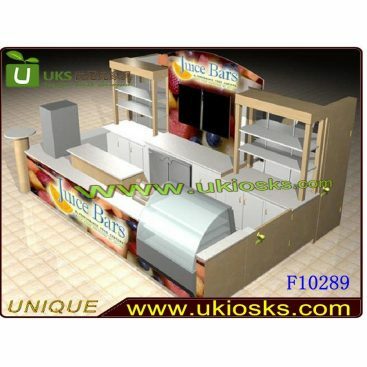 Juice always very popular in food business.and also have many people do juice business. 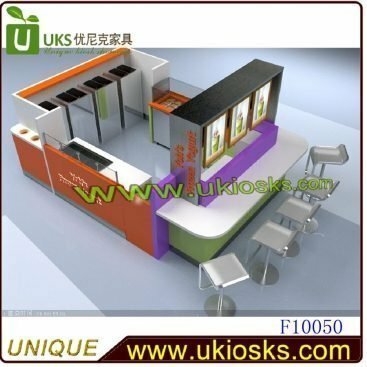 you will found in a shopping mall there will have many customers sell juice use juice kiosks. 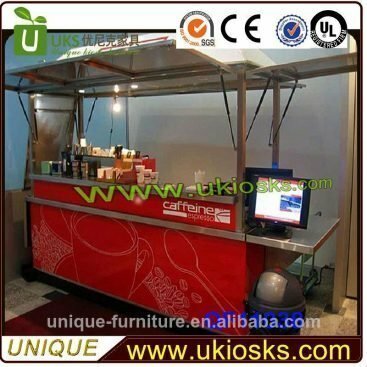 But if you want your juice kiosk very amazing and can attract a lot people really not a easy thing. 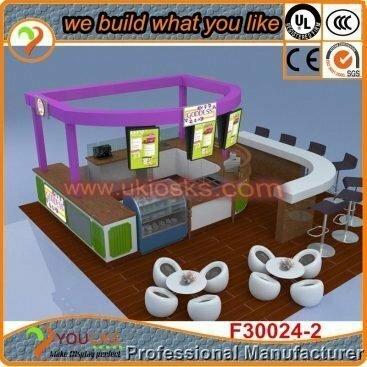 see this fresh juice kiosk,it is totally orange color,looks very fresh and lively. 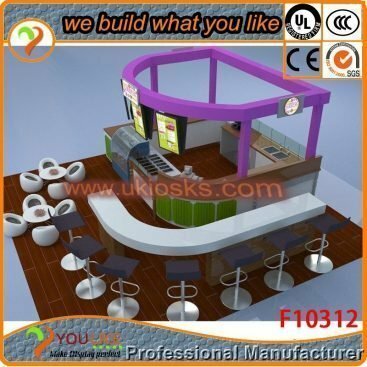 around added many advertising posters,looks very fancy.Top ceiling added many nice spot lights. 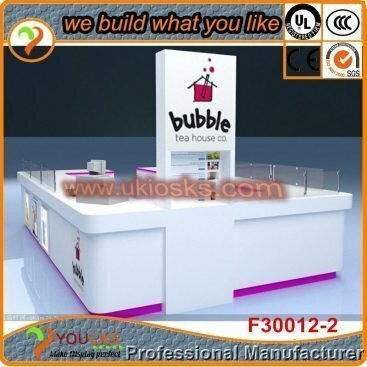 if you also sell juice,this would be a good choice. 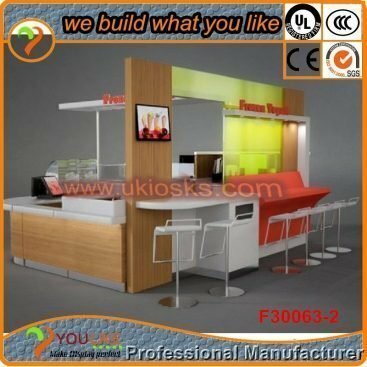 payment : pay 50% deposit before production and balance before shipment . 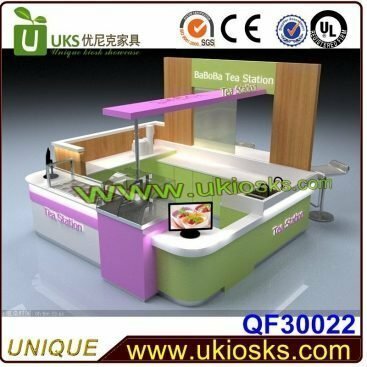 How to customize a fresh juice kiosk ?